Stevens Strategy provided a strategic planning process with particular emphasis on operational planning, including the facilitation of a Board of Trustees retreat. Stevens Strategy brings great understanding to the world of academia. They are creative, and very deliberate, in their planning process. 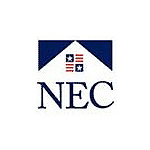 We at New England College were treated as if we were their only client. Because of this good work, NEC continues to progress toward an even greater future.